Make sure you’re tick “Connect automatically” for the NIC in bootup. Now we go ahead and mount the Linux IC iso file which we have downloaded from Microsoft web site. After this completes you can reboot the system and then check the mouse integration and also the functionality of the second NIC. Latest Linux IC can be downloaded from here. Discover Oracle instances on Itanium-based servers for migration to SQL Server: useful for SQL Server migration projects when you tire of the price and virtualization support of Oracle. Apart from that as I mention customers can use the latest version to carry our license assessment on their environment. This is really helpful for them taking decision on license purchasing and fall under compliances. You can obtain the latest version with sample databases in here. Before setting up MAPS spend some time reading the FAQ pages as well. 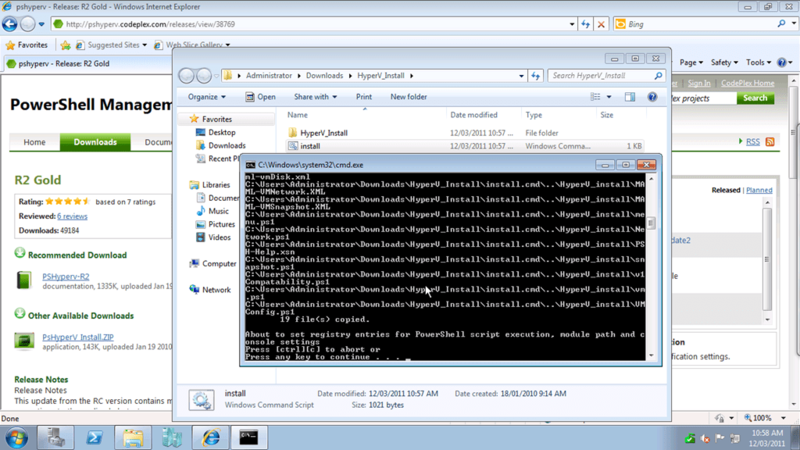 PowerShell is a very powerful tool you can use across Microsoft technologies. Microsoft will keep on adopting and improving this technology every time. 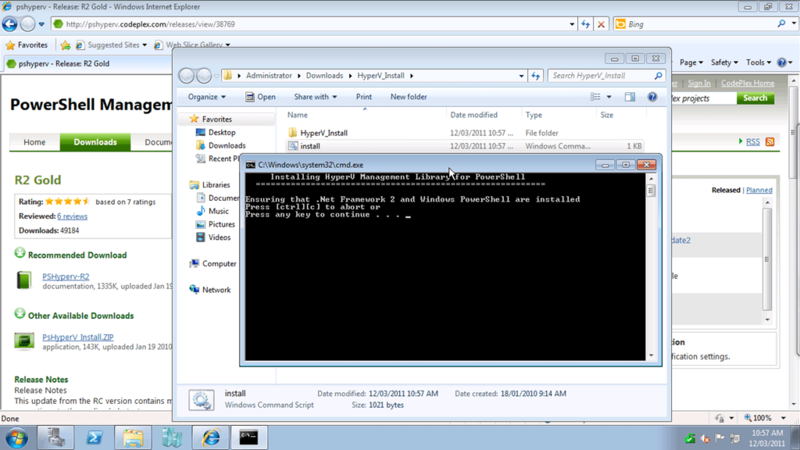 Right now PowerShell module ver 2 for HYPER-V has been released. This article will discuss how can you install the modules correctly into your Windows 2008 R2 server. Please note this is for Windows 2008 R2 only! Download the zip file to a root drive or any preferred area and unzip. Once that complete locate the “install.bat” file and execute it with administrator privilege. Few days back the above topic came to the discussion table with my colleagues. We got a project where customer got few RedHat machines. One argument went on RedHat Linux would not have mouse movement when we do a P2V and setup the IC’s (Integrated components) Going deep on this matter it is revealed Microsoft has not officially mentioned mouse integration will work properly and it is misunderstanding if someone states. The above list is taken from the TechNet site. You can download the latest Linux Integration services from here.